This intriguing challenge set by Misik Kim to use traditional images made me think of the Australian patchwork legacy. A new country, settled by Europeans a little more than 200 years ago, we have some remaining items that point to the skill and refinement of the craft. 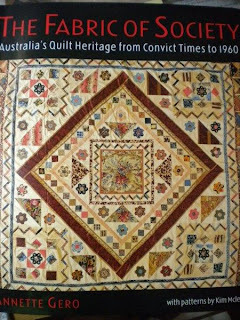 The book by Annette Gero, The Fabric of Society, Australia's Quilt Heritage from Convict Times to 1960, is a great resource of beautiful examples. 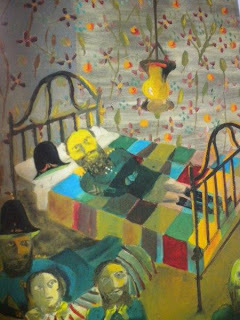 And we even see a patchwork spread on the bed in this Ned Kelly series painting by Sidney Nolan. Aboriginal people used possum skin to make cloaks and blankets, patching the skins together to make the necessary size. 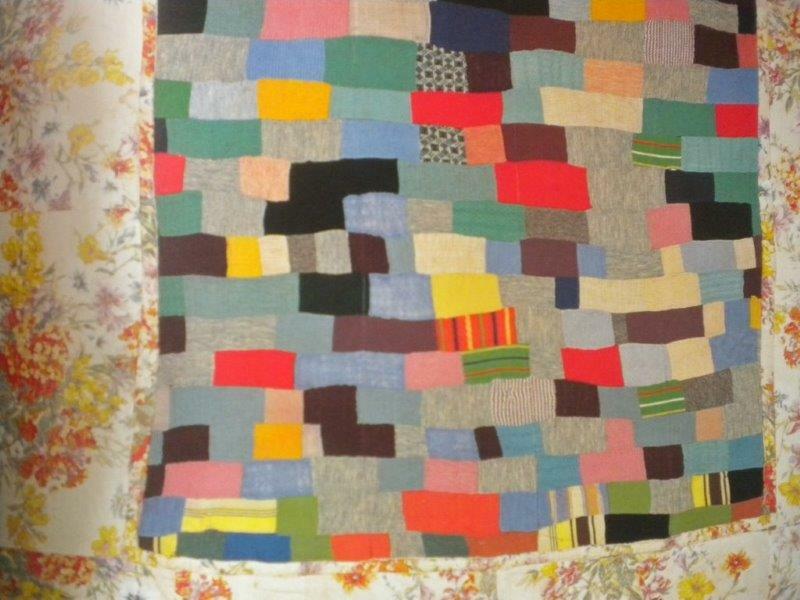 Waggas are another utilitarian invention using woollen suiting samples, old coats and cotton fabrics to ' make do' and often recycling used clothing as the inner layer for warmth. 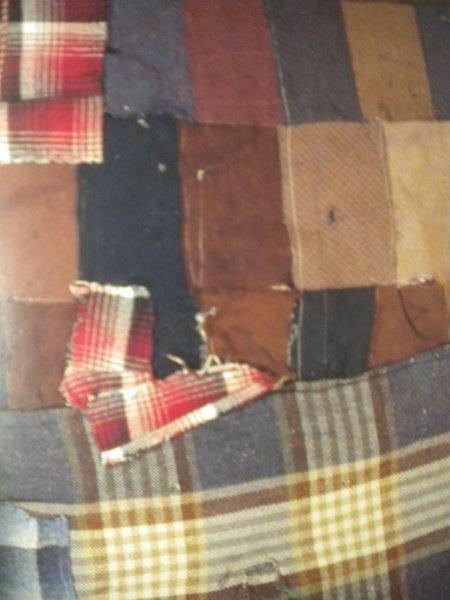 Used by farmers and those working outdoors in rough conditions they were made to stand up to the harshness of daily life in the 1930's Depression and beyond. Where this is all taking me I'm not so sure at this stage, but it is giving me food for thought. Interesting, Sue. 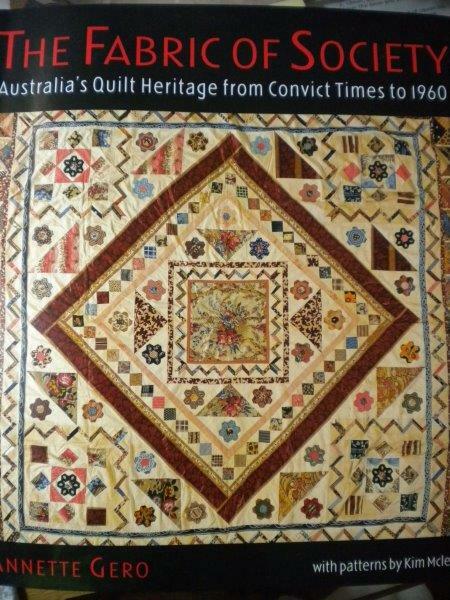 I wasn't aware that Australia's quilting evolution ran so parallel to quilting in the US. 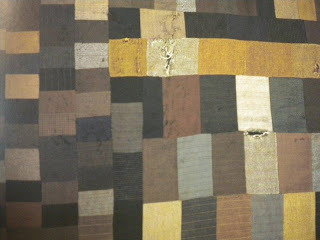 The "woolen suiting samples" reminded me - when I was a kid, these big envelopes would come in the mail with fabric swatches and I'd get them to make doll clothes. Funny how memories get jarred loose! This is a really interesting challenge!